J's co-worker hooked us up with two free VIP tickets to the UCSB Women's Basketball Game on Sunday. 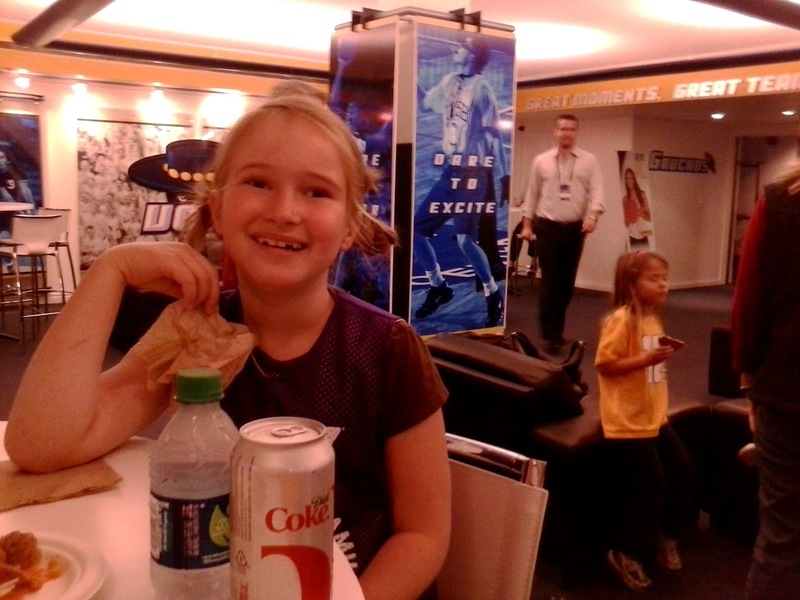 VIP means that we got to visit the hospitality room before the game and at half-time. Drinks + yummy food = a score. 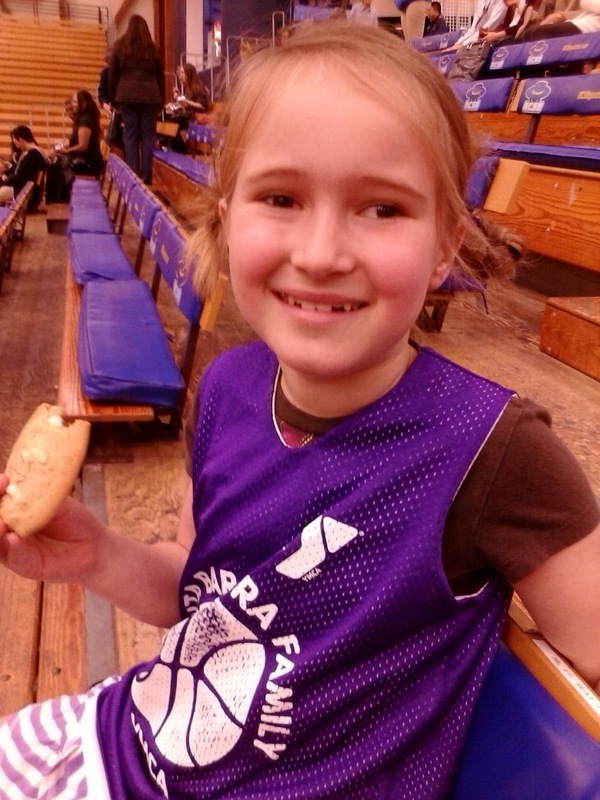 Vera loved the cookies (of course!) and I loved...the cookies. They were great cookies! VIP seats meant we got to sit on the comfy blue pads. UCSB won and signed autographs after the game. All good.